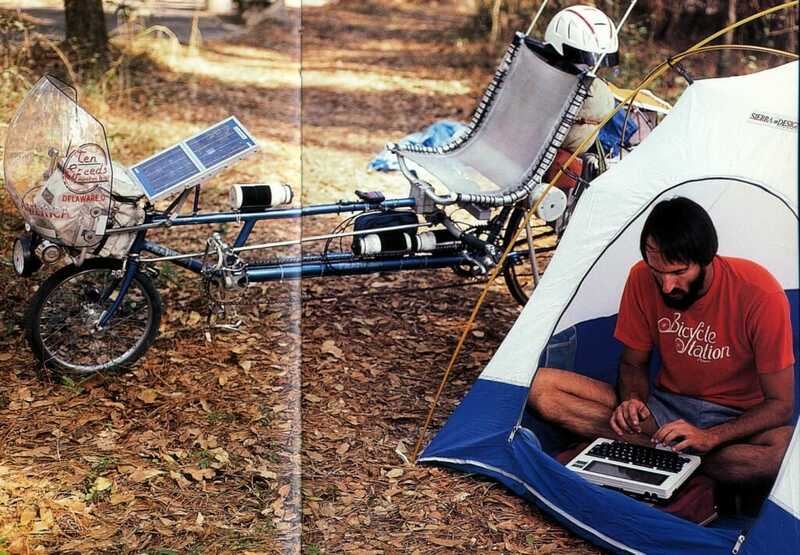 This was the dawn of technomadics. 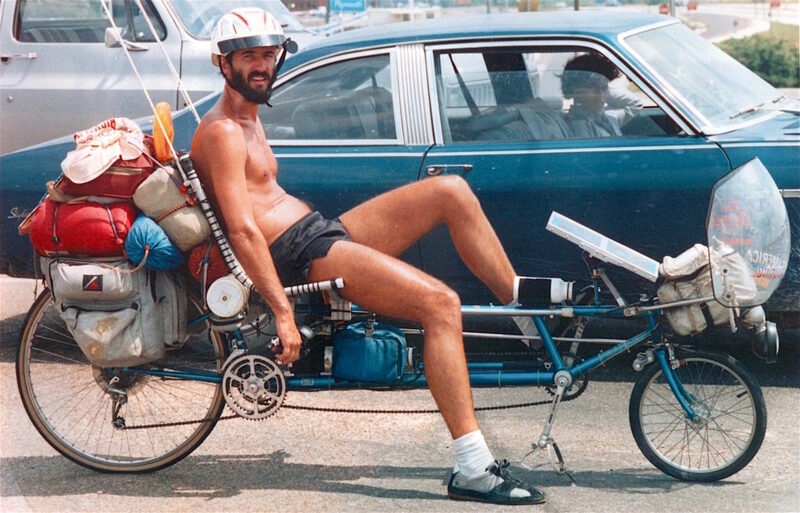 In 1983, the very idea was bizarre: a guy on a bicycle, using portable computers and networks to run a business while moving? That's crazy talk. 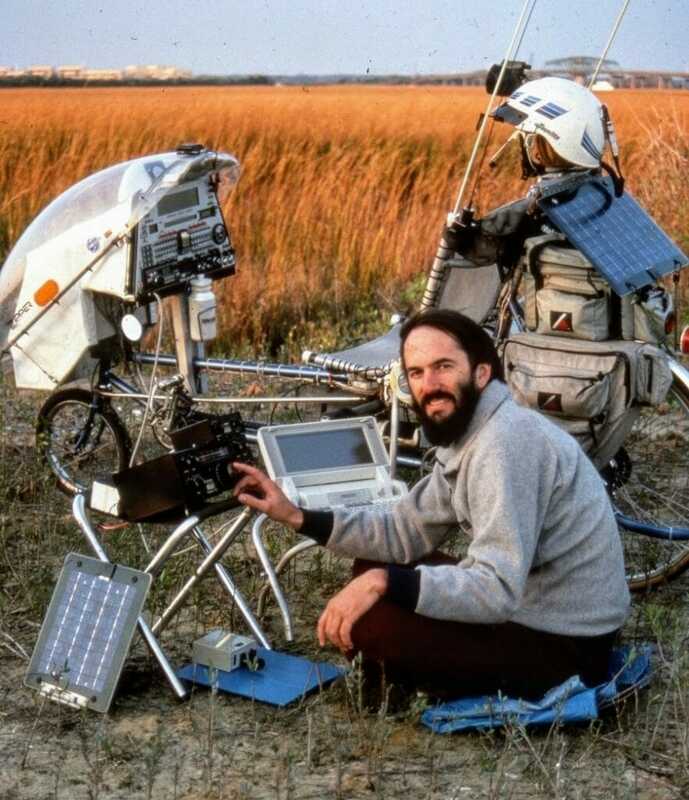 But the media fell in love with this machine, and I wrote a book called Computing Across America about the rollicking, high-tech adventure that carried me 10,000 miles around the United States. 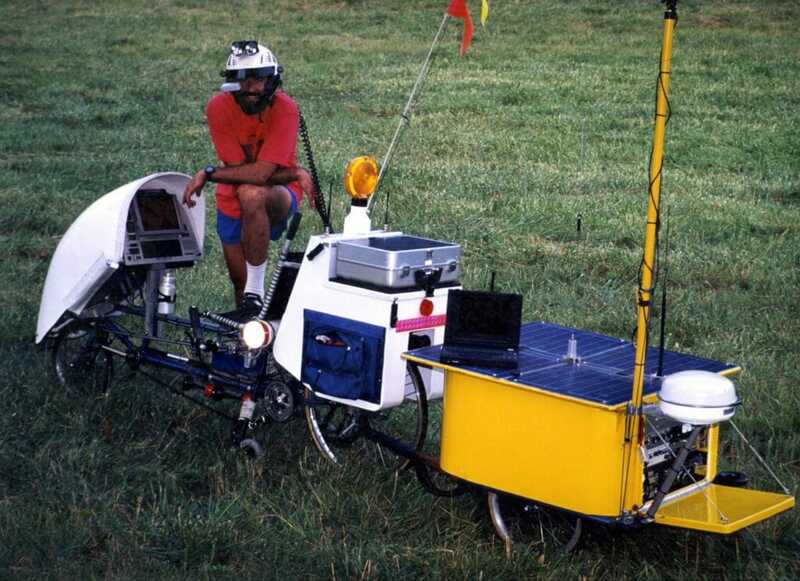 What I thought would be a "bicycle tour" quickly became a career, and this dovetailed perfectly with the rise of laptops and online services... which were my essential tools, along with a custom recumbent and solar panels. What fun is a computerized bicycle if you can't write while riding? 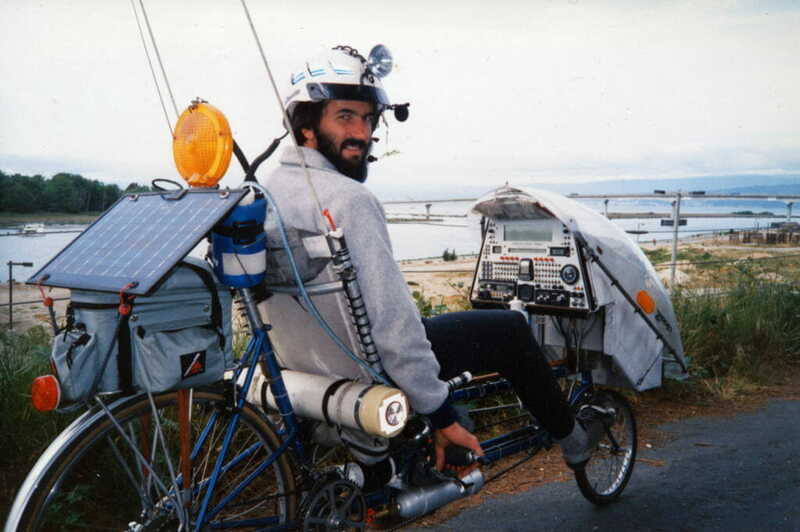 That was the original design goal for this new version, which also included packet data communications via ham radio. 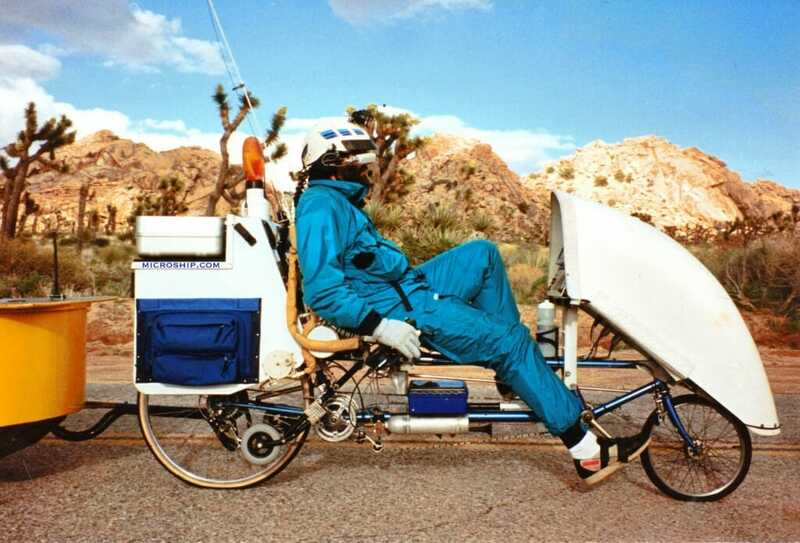 The combination led to the first "texting while driving," along with new frontiers in nomadic connectivity that were beginning to render my physical location irrelevant. It was inevitable. Extrapolating from the first two, I had no choice but to build a geek extravaganza of mobile computing tools. Estimated at $1.2 million, the 3-year project hosted by Sun Microsystems integrated multiple computers, satellite communications, heads-up display, head mouse, multimode ham station, speech synthesis, cellular, and lots more into a 580-pound, 105-speed monster. The bike had become a unixcycle... and now resides in the Computer History Museum.